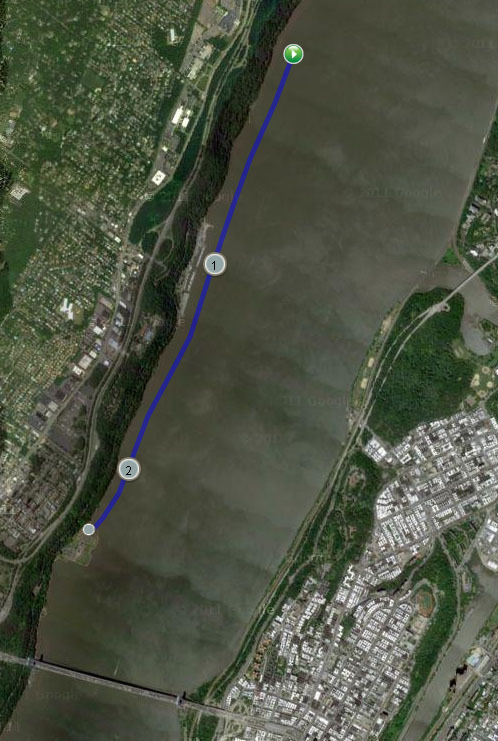 On Saturday July 14th, 2012, Urban Swim hosted a 2.4M Open Water Swim in the Hudson River. The Swim took place in the Hudson River in view of Palisades Park, NJ, and the iconic George Washington Bridge. This clinic is not affiliated, licensed, sanctioned, approved, endorsed or in any way connected with either the World Triathlon Corp (WTC) or the New York City Triathlon. While completion of this clinic may qualify as the requisite open water swim experience required by the New York City Triathlon for their events, it in no way assures you of obtaining an entry to those events, nor gives you any advantage over other athletes in the application process.